Stretching the One Income Dollar: Listening To Your Dog- Is It Important In Dog Training? Listening To Your Dog- Is It Important In Dog Training? As dog owners, we have an expectation that our pets should listen to us. We are always talking to them, trying our best to make sure they understand us and what we want from them. We find ourselves asking them if they’re hungry if they need to go out, and what are they’re up to. As important as it is for our dogs to listen to us, listening to them is just as important. One of the most important times for you to listen begins during dog training. Unfortunately, our dogs can’t hold a conversation with us, which is why our eyes are needed to listen to them. Your dog’s body language speaks to you all the time and is an excellent way to get to know them. 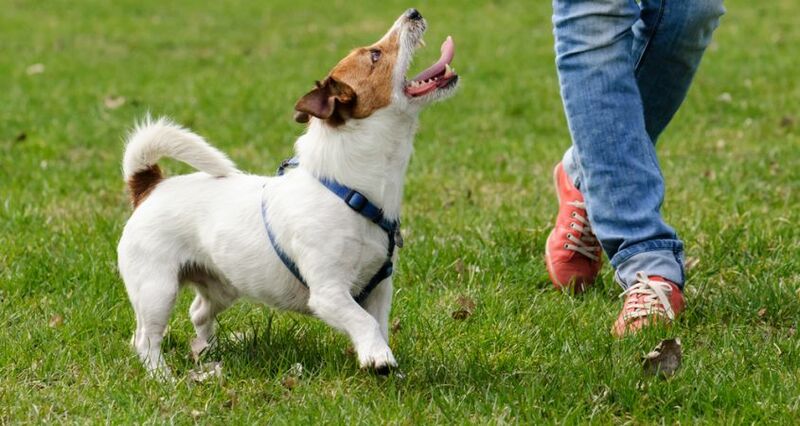 Some of the body language that your dog uses to communicate with you is clearly understandable, such as barking to indicate danger or greeting you with a wag of the tail. However, much of this body language your dog is using to communicate may be overlooked if you are not paying attention. During dog training, listening to your dog through the use of body language is crucial. While going through the dog training process, you will begin to learn and understand what their different body language means. As with people, each dog learns in a different way. The more you begin to understand the meaning of your dog’s body language, the easier it will become to train him in a way that is right for him. Investing some time in one of the many dog training books can help you in the task of listening to your dog, making this experience enjoyable for both of you. Contact The Loved Dog at 310-914-3033 or email reception@theloveddog.com for more information on the importance of listening to your dog during training. For the best services in los angeles dog boarding and training, visit TheLovedDog.com.